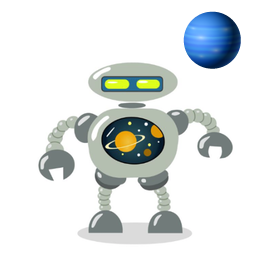 Neptune is the 8th?planet in our Solar System and the furthest from the Sun, being some 2,798,310,157 miles from the Sun. This was the first planet to be found using mathematics rather than observation techniques. 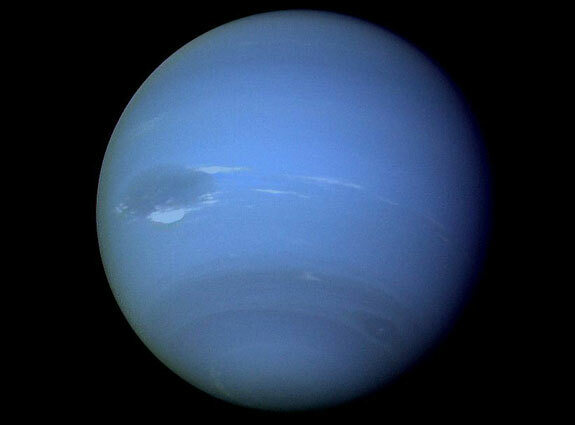 ?Neptune is the fourth-largest planet by diameter and the third-largest by mass. Just like Uranus, the planet’s atmosphere is made up of 80 percent hydrogen, 19 percent helium and 1 percent methane, and has a rocky core similar to Uranus. The blue colour of Neptune is created by the methane gas in its atmosphere. The planet also has a planetary ring system but they are much more unstable than the other Gas Giants rings. Neptune’s ring are thought to be made of ice particles which are coated with silicates or carbon-based material.